Want to get that 80s look? Well you’re in luck. 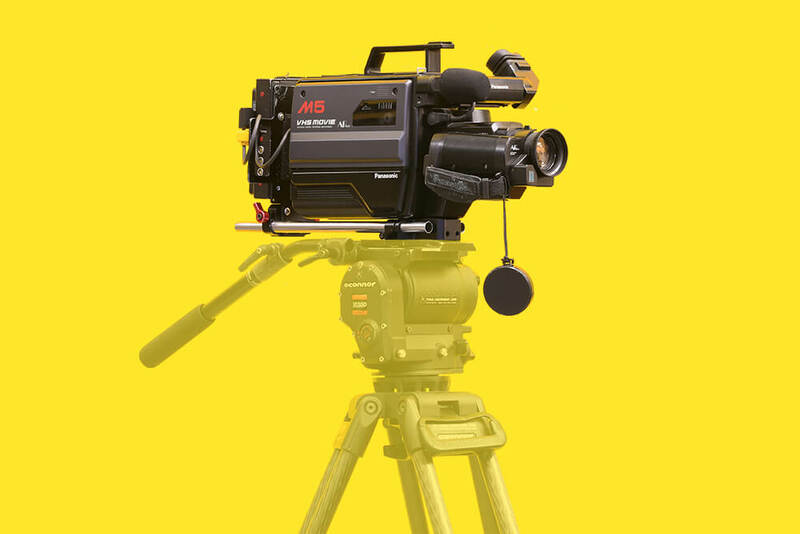 Here’s the Panasonic M5 VHS Camcorder. This awesome VHS camera from 1986 will do just that. Provided with a v-lock power distro, it will be powered via v-locks. Has d-tap & usb out. Also comes with a converter to HDMI, so you can plug an on board tv logic or go wireless..
Will be supplied with 2 x 90 min tapes. Premium tapes can also be bought as consumables. Shoot your favourite wedding or cool looking retro music video, then ingest footage at Feral to glorious upscale 1080p (bring your own hard drive). Please treat this camera with respect. Y’all used to digital cameras being indestructible, but this baby comes from an era where Van Halen and Bananarama were the hip thing, so it’s part are more delicate than today’s tech. Want to see some test footage taken off the net? Sure, go for it.